WARNING: This podcast contains strong language and mature content. 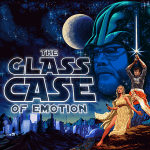 On this episode of The Glass Case of Emotion podcast Ryan, Kim and Chuck talk about hurricane prep including reminding people not to shoot into the hurricane. Also airline fart etiquette.